Whether you are selling your home or in the market for a new one there is no more important “link in the chain” than your real estate agent. This is the person that can make it all happen and is your ambassador to the many other parties that will be involved with the transaction. There’s a lot more to know when buying or selling a home than you are probably aware of and finding the right agent is critical. The question is how do you find an agent that will meet your expectations? 1. Locate the right specialist. Many real estate agents specialize in different segments of the market and may be more qualified at some things while less qualified at others. Perhaps one agent has a lot of experience working with short sales or foreclosures while another has worked a lot with seniors. Yet another agent may be a wise choice for sellers but not so experienced working with 1st time buyers. 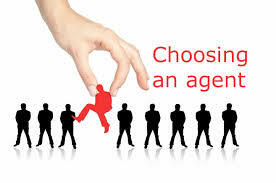 Choose your agent based on your particular needs. If you are dealing with a small brokerage than chances are good that your agent knows the area that you are interested in very well. If, however, you are working with a large brokerage with many agents, be sure to request an agent that is familiar with the exact area you are interested in or where you are selling your own home. This type of knowledge and experience will be of great help to you and could save a lot of time and trouble for everyone involved. This is a great time to do a Google search for a list of agents in your area of interest. Although there are many good agents that may be new or have not received awards from their industry peers, such accolades may be a sign that a particular agent has a high standing in the community and might be an excellent choice for you. Retaining the services of an agent is no different than hiring an employee in a business. It’s important to ask the right questions and be specific. Some examples of which questions to ask are below but remember to ask questions that apply to your particular circumstances. Are you working full-time or part-time? What niche do you specialize in? 5. Finally, explain exactly what you expect from the agent that you choose. Do you expect an update call every day? - tell them. Do you want an opinion as to whether your selling price or purchase price is reasonable? – be sure to ask. The point here is that you can’t expect excellent service from your new agent unless they understand exactly what it is that you expect from them. Communication is the key so be sure to explain all of your concerns and expectations before making the final decision.